The International Space Station in 2011 (Credits: NASA). The European Space Agency is promoting a plan for a campaign to inform tax payers about the benefits that the International Space Station (ISS) brings to the public, in order to address the concern of the scientific community that the budget for space agencies is falling. According to Mark Uhran, NASA’s assistant associate administrator for the ISS, “It frustrates people, because we know we have a valuable asset.” This comment was captured during a conference in Berlin, where scientists from the 15 nations that collaborate on the ISS were present. The bill that the European Space Agency will present for the space station is estimated in about $130 billion dollars (100 billion euros), a figure that will include the operational cost for the next 10 years. The European share of the space station is 8 billion euros, which is about one euro per day from every European citizen. Research in microgravity has produced several spinoffs, allowing development of new materials, with breakthroughs in the metallurgy discipline like the production of strong and very light metallic foams that have a cushioning effect during big impacts. 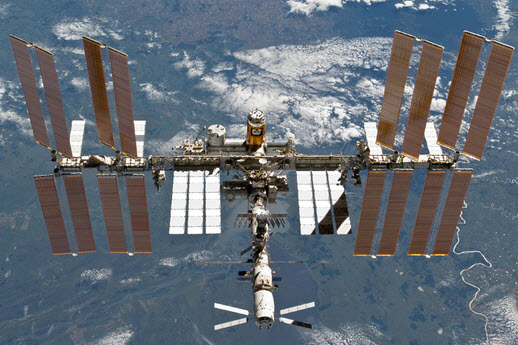 Research in the space station covers a wide range of disciplines, from biotechnology to new materials development, thanks to the various equipment on board. The space station assembly was finished in the summer of 2011, expanding the ISS to an area equivalent of a football field. All the research done in space is developed by a consortium of nations that includes the United States, Russia, Canada, Japan, and all the nation belonging to the European Space Agency: Belgium, Britain, Denmark, France, Germany, Italy, the Netherlands, Norway, Spain, Sweden and Switzerland. The video below is a documentary about NASA spinoff technology.